Martial arts and self defence classes in Maidenhead, Bracknell and Windsor for the entire family. We specialise in teaching complete beginners right through to experienced Black Belts. You don't have to be fit to start and your confidence will grow week by week. Our syllabus is a unique blend of martial arts styles, including Kickboxing, Karate, Taekwondo, Eskrima and The Fight SMART System. We have bespoke classes for children, teenagers, adults and ladies only classes. 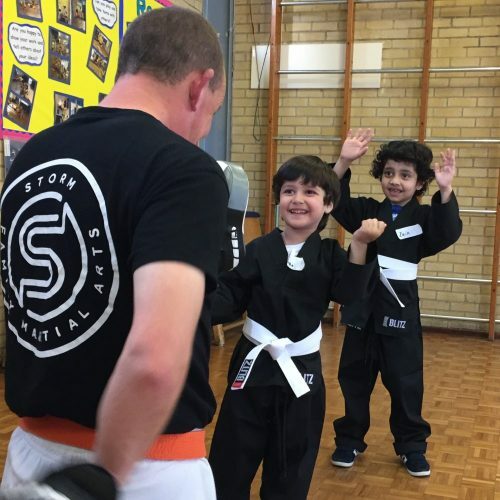 'Developing Champions For Life' is our outstanding martial arts programme for children and each month the children have a different theme such as Confidence, Respect, Teamwork, Honesty, Determination, Courage, Helpfulness, Integrity, Goal Setting. We offer a free trial in our beginners martial arts classes in Bracknell, Windsor and Maidenhead. Adult Martial Arts classes in Maidenhead and Bracknell. We offer a great way to get fit, make new friends and learn a new skill in a fun and friendly environment. Click 'Book A Free Trial' at the top of this page or contact us at 07532 770387 or info@sfma.co.uk to for a free one week trial. We have tailored our syllabus to teach age appropriate lessons. Our Dragons class is for 4 - 6 year olds and our Tigers class is for 7 - 12 year olds. Click 'Book A Free Trial' at the top of this page or contact us at 07532 770387 or info@sfma.co.uk to reserve a place for your child. No experience necessary. We're looking for trainee coaches to help us run the junior classes. Join our coaching programme and enjoy the free benefits of private lessons, accelerated belt promotion and 'Coaching Team' uniform. "Great instruction from Digger, he makes the lessons fun and I've learnt so much already. Everyone is so friendly and supportive and the classes are suitable for all abilities. 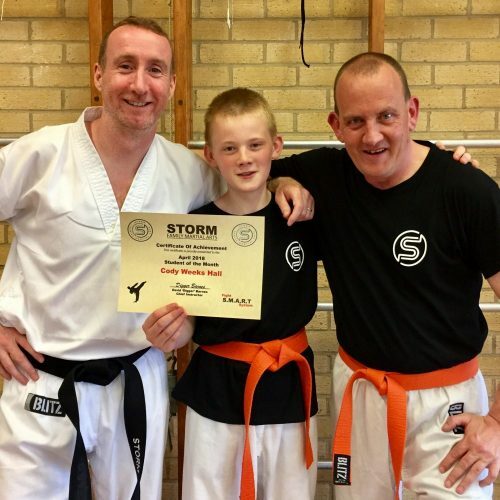 I would definitely recommend Storm Family Martial Arts." "What a great place to learn martial arts. 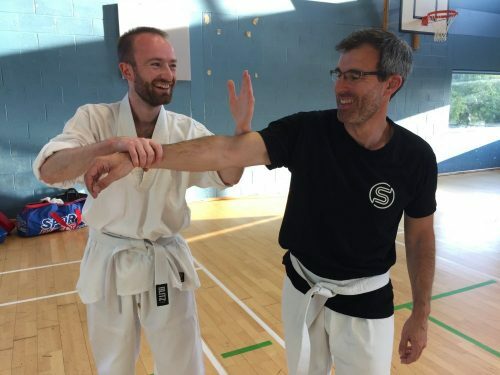 Easy to follow lessons from a great instructor and a lovely friendly atmosphere. Don't be afraid come join in, you won't regret it"
"Great techniques and professional instruction from Digger. Lots of fun and suitable for everyone"
"Me and my sister have been coming for a few months now and we love it! Have learnt so much already, and such lovely people to be learning with! Highly recommend to anyone to come and give it a go!!" "A great club brilliantly taught!! 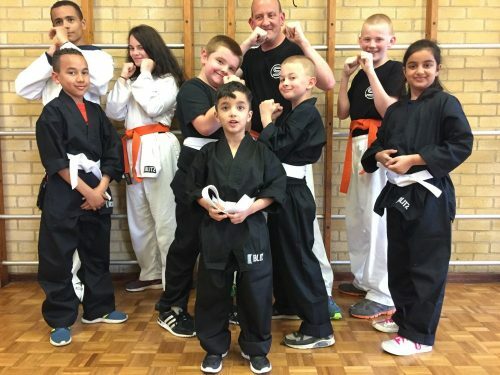 Digger and all in the class make this club the perfect place to try out Martial Arts, no matter if you're a beginner or not!!" "Superb class, friendly environment and excellent instruction. Whether you are completely new to martial arts or looking to learn another style then you will be more than welcome here. Give it a try!" 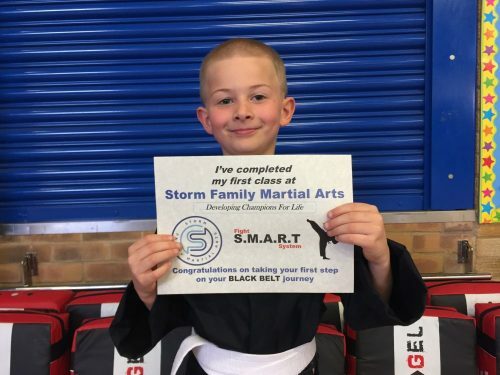 The curriculum at Storm Family Martial Arts is a unique blend of multiple martial arts styles. We focus on pad work, fitness, self defence and personal development. The core of our teaching is kickboxing, self defence, fitness and valuable life skills such as perseverance, focus and self discipline. 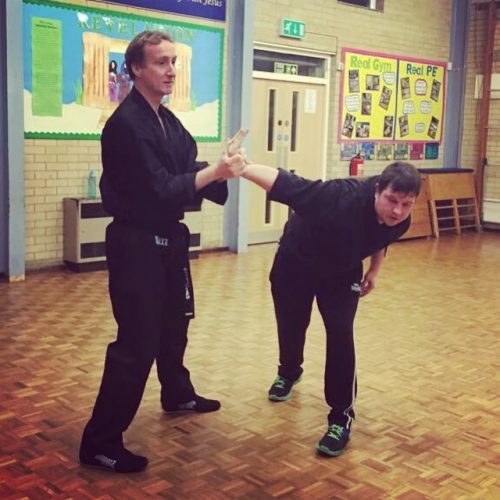 The result of this is that as students learn effective self defence techniques, they experience new levels of confidence and empowerment.